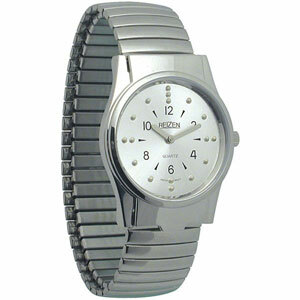 Mens Braille Watches Chrome/Gold Finish 6 O'Clock Opening. 2. Chrome watch with 6 O'Clock Opening and Leather Band. 3. Gold watch with 6 O'Clock Opening and Exp. Band. 4. Gold watch with 6 O'Clock Opening and Leather Band.